A country girl born and bred, Dawn Luedecke has spent most of her life surrounded by horses, country folk, and the wild terrain of Nevada, Idaho and Montana. As a child she would spend many afternoons reading books, watching western classics, and Rogers and Hammerstein movies. When she grew up she decided to leave the quiet country life for a chance to find adventure by serving a successful tour in the United States Coast Guard. During that time she found her soul mate (and alpha male) and started a family and writing career. She enjoys writing historical and paranormal romance and spends as much time as she can working on her current manuscript. 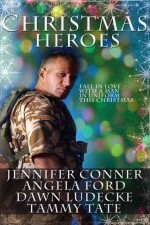 Fall in love this Christmas with a man in uniform. 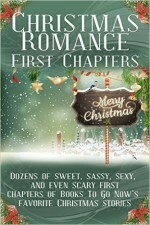 An Army man, special agent, Coast Guard, or game warden, they all need to find love for the holidays. save the lighthouse and the legacy of her long lost ancestor, Lighthouse Keeper Fanny Pearson. Lily must perform a rescue mission and prove to the town that the lighthouse is worth saving—a task made difficult by Marek Thayer and his rescue crew, who thwart every rescue attempt she makes. It’s Beauty and the Beast meet Seven Brides for Seven Brothers in this contemporary western. 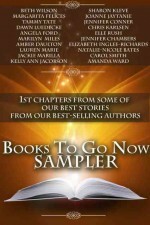 Tasty Christmas treats put together by some of your favorite best-selling Books To Go Now authors.